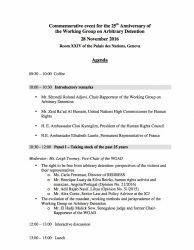 On 20 March, the GDP was invited to make a presentation about our report “Harm Reduction in Immigration Detention” at the annual meeting of the Global Working Group of National Societies Working in Immigration Detention, a gathering of National Societies of the International Red Cross and Red Crescent Movement co-hosted by the International Committee of the Red Cross. 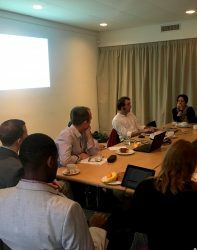 On 22 November, GDP Researcher Izabella Majcher participated in a workshop exploring Médecins Sans Frontières’ (MSF) role in detention settings, which took place in Rome. Majcher’s presentation examined the international human rights framework governing immigration detention, and highlighted instances of these standards being violated. On 15 November, the Quaker United Nations Office (QUNO) and the Global Detention Project (GDP) hosted a briefing and discussion for NGOs, IGOs, and diplomatic missions on the role social media and other new digital technologies play in migration journeys, with a special emphasis on their use in the context of detention and migration control in North Africa and the Mediterranean. On 19 October, the GDP’s Executive Director participated in a roundtable exploring the criminalisation of migration and the detention of migrants as part of a training seminar organised by Professionals in Humanitarian Assistance and Protection entitled “Core Training on Refugees, IDPs, and Forced Migrants: Protection in Law and Practice.” More information is available here. Refugee Protection in a Hostile World? Is Ending the Detention of Children an “Alternative”? 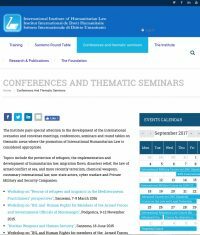 Izabella Majcher gave a presentation titled “Immigration Detention in the European Union: Research and Advocacy” at the Open Society Initiative for Europe‘s (OSIFE) Protection and Rights of Migrants Grantee Convening “Between Politics And Enforcement: Safeguarding And Advancing Migrant Rights In Europe.” Madrid, 18 – 19 September 2017. Izabella Majcher presented a paper on the the EU detention regime and its compatibility with international human rights law at the Migration Law Section of the 2017 Society of Legal Scholars (SLS) Conference taking place in Dublin on 5-8 September. 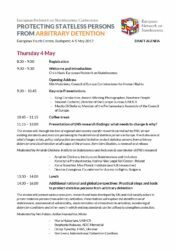 Mariette Grange to give a workshop titled “Measuring and gathering data on immigration detention,” at the European Network on Statelessness Conference Protecting Stateless Persons From Arbitrary Detention, held in Budapest, Hungary, 4-5 May 2017. 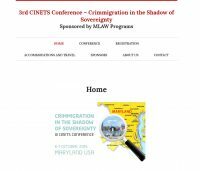 Three GDP papers were presented at the 3rd Annual CINETS Conference, “Crimmigration in the Shadow of Sovereignty,” held at the University of Maryland on 6-7 October 2016: Galina Cornelisse, “The Constitutionalisation of Immigration Detention“; Matthew Flynn, “Capitalism and Immigration Control“; and Michael Flynn, “Detained Beyond the Sovereign.” Information about the conference is available here. 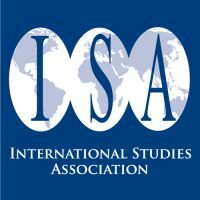 Michael Flynn presented a paper on non-state actor involvement in immigration detention regimes at this conference, which was held at the California Western School of Law in San Diego and cosponsored by the University of California, San Diego, and the Scholars Strategy Network. More information is avaiable here. On 17 November Izabella Majcher gave a training session titled “Freedom of Movement and Restrictions thereof, including Detention” as part of the International Refugee Law Course for Lebanese officials organized by the International Institute of Humanitarian Law and UNHCR in Sanremo, Italy. 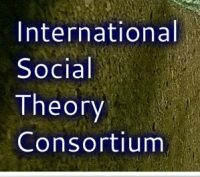 Prof. Matthew Flynn of Georgia Southern University, a GDP contributing researcher, presented his GDP Working Paper titled “Bureacratic Capitalism and the Immigration Detention Complex” at the Annual Conference of the International Social Theory Consortium, University of Cambridge, 17-19 June 2015 (http://socialtheory.org/2015-annual-conference.html). 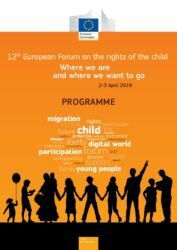 Mariette Grange gave a presentation on immigration detention practices in Europe at this Jesuit-organized initiative aimed at improving cross-border dialogue, which was held in Madrid on 28 May. More information about this initiative is available here. 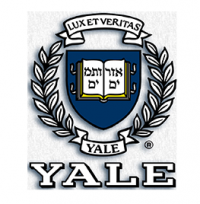 Michael Flynn gave a presentation at the conference “Detention on a Global Scale: Punishment and Beyond,” hosted by the Yale Law School on 9-10 April. Flynn’s presentation was titled “Liberty or Security? 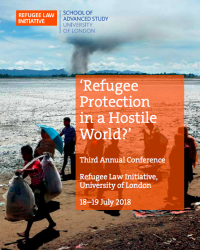 Human Rights and the Expanding Landscape of Immigration Detention.” Other presenters on Flynn’s panel included Mary Bosworth, Allegra McLeod, and Zonke Majodina. 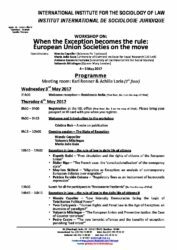 On 20 March Izabella Majcher presented a paper titled “Immigration Detention under EU Law and International Obligations of Member States” at the conference “Regulating ‘irregular’ migration: International obligations and international responsibility,” held at the National and Kapodistrian University of Athens. On 6 February 2015, Mariette Grange chaired the session “Introducing the notion of alternatives to detention in the EU policy-making” at the final conference of the Odysseus Network’s “Made Real” Project, “Alternatives to Immigration Detention in The EU: The Time For Implementation,” which was held at the Université Libre de Bruxelles, Belgium. Michael Flynn gave a presentation titled “Concealing and Revealing: The Role of Liberal Norms in the Evolution of Detention Regimes” at the Texas International Law Journal Symposium “Immigration and Freedom of Movement” (University of Texas at Austin, 5 February 2015). 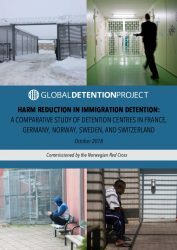 The Global Detention Project (GDP) announces today that it has re-launched as an independent non-profit research centre after being based for eight years at the Graduate Institute of International and Development Studies. 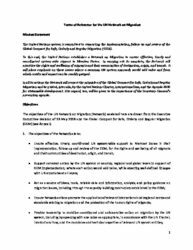 European Union Immigration Detention Regime: A Manifestation of Crimmigration? 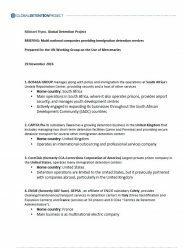 Izabelle Majcher and Mariette Grange gave a presentation entitled “Les frontières de la détention administrative” at the University of Geneva conference Frontières et migrations : Chercheurs, praticiens et artistes croisent leurs regards, held on the 17th of September 2014. Read more about the programme here. Irregular Migration in the EU and Italy: Are New Criteria Needed to Manage and Control? Michael Flynn participated to the dialogue examining the global expansion of immigration-related detention hosted by the Center for Migration Studies (CMS) in New York, on July 21, 2014. Read more here. Immigration Detention in the EU: De Facto Criminalization? Mariette Grange gave a presentation at the Summer School on Human Rights, Migration & Globalization of the Irish Centre for Human Rights at the National University of Ireland, Galway, on July 9, 2014. Read the programme here. Liberty v. Security: How the Promotion of Fundamental Rights Can Encourage the Expansion of Immigration Detention. Mariette Grange’s intervention is available in full here. 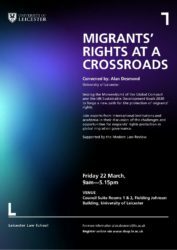 Holding Patterns: Can Advocacy Efforts to Reform Migration Detention Inadvertently Lead to the Growth of Detention Regimes? Read the report on the event here.